FX: What was the main brief for the site? 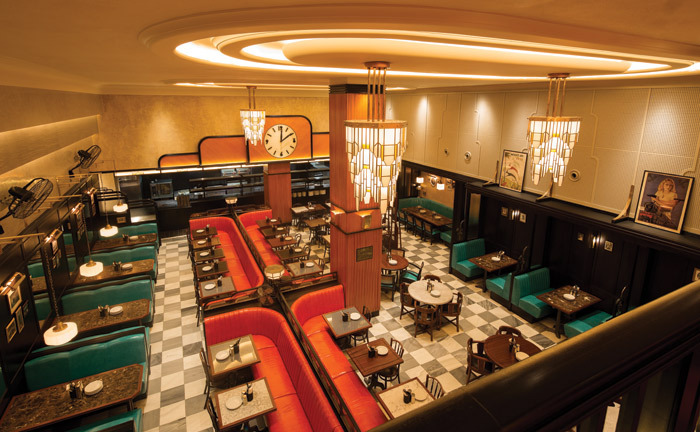 JM: Set in a corner of Kensington’s beautiful Barkers Building department store, Dishoom Kensington had to transport guests back in time to jazz age Bombay. Paying close attention to familiar, authentic detail synonymous with the city and its traditional Irani cafes, it had to pay homage to the beautiful art-deco architecture created by the first generation of modern Indian architects in the Forties. FX: What were the main design challenges? JM: As well as the general scale of the project, at 929 sq m, it is always a challenge to work within a Grade II listed building and any specific architectural elements. We had to remove part of the existing mezzanine floor to create a double height dining space and retain a retail shop front display area along the facade glazing. There were also plenty of bespoke requirements needed in order to create such a characterful and transportive venue: we had to level the inherited slope of the existing floor and introduce acoustic ceilings to deal with the reverberation within the restaurant. 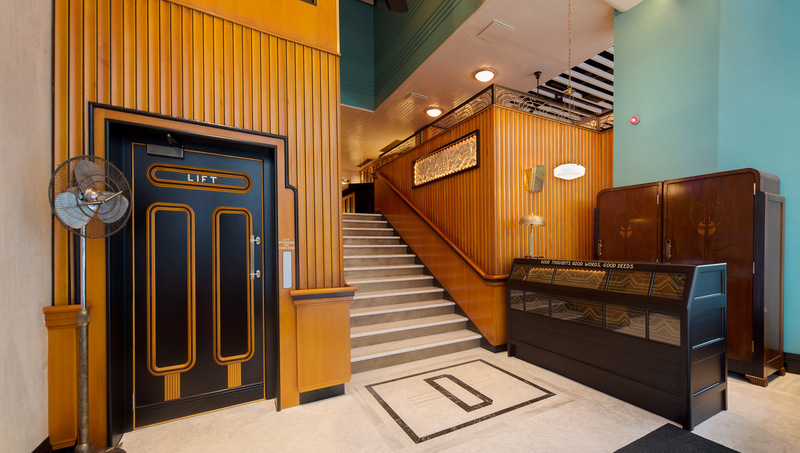 FX: The project provided an opportunity to implement a bold and striking art-deco aesthetic. How important are projects like this in helping stretch the creative boundaries for both the client and yourselves? JM: The growth of restaurant groups can sometimes create static design, which fails to address the requirements of the individual locations, sites and clientele. By taking a bespoke approach to every project, the end result is greater than the sum of its parts, which strengthens our client’s brand, rather than diluting the concept as it expands. In order to build on the narrative and to allow the brand to develop and grow, the research and design journey of each project is as important for the fifth, sixth or seventh restaurant as it is for the very first. FX: As a practice, how do you manage to stay on top of the latest trends and ideas? JM: Our projects aren’t trend driven, as we believe our design transcends trends. We take a bespoke approach to every well-researched project to create design with a narrative. We tend not to align with the latest short-lived trends, to ensure our projects are individual and immersive, creating inspiring spaces with authentic detail. FX: What do you think the future holds for bar/restaurant design in the medium and long-term? JM: I strongly believe the next trend in casual dining will be street food markets moving indoors. The communal dining scene is set to soar in the UK – similar to Eataly and the innovative ‘hawker food markets’ in South East Asia, indoor food markets are bringing an energy and vibrancy of their own, moving away from traditional food courts. Elevated in their approach and design, they are well curated with quality food, drink and entertainment and are becoming more and more sophisticated. It will be interesting to see how these operators will make their offerings more permanent and less pop-up, which is essential to maintain the energy needed to compare to markets such as Lisbon’s Time Out Market.